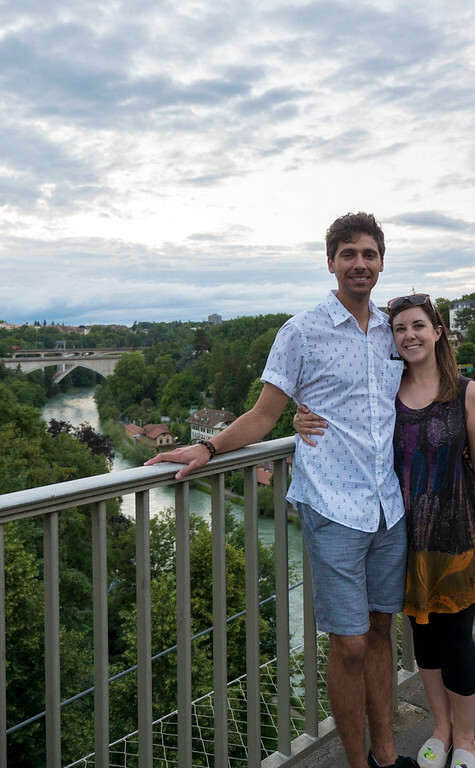 Here’s how we spent one day in Bern, Switzerland. Welcome to beautiful Bern! Justin and I quickly fell in love with Bern and wouldn’t hesitate to return. 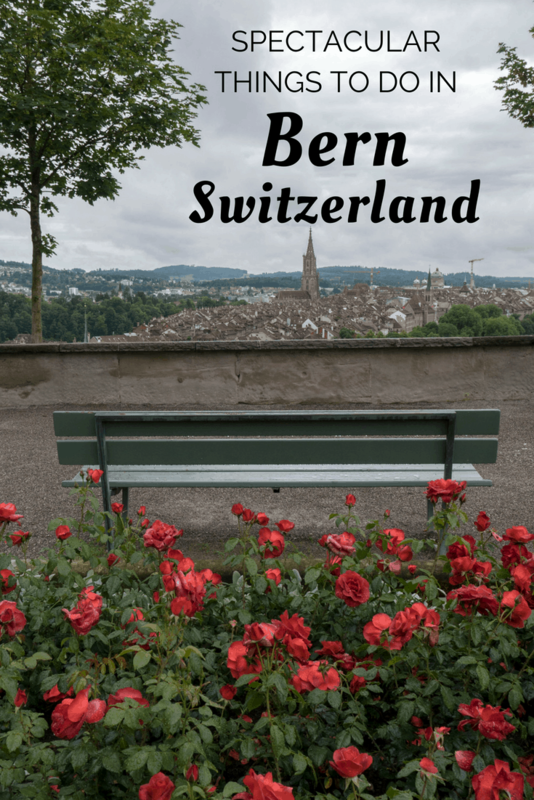 As we had quite a few places to visit in Switzerland during our week long trip there, we had to restrict our trip to Bern for only one day (along with a day trip to Thun and Spiez, using Bern as a base). 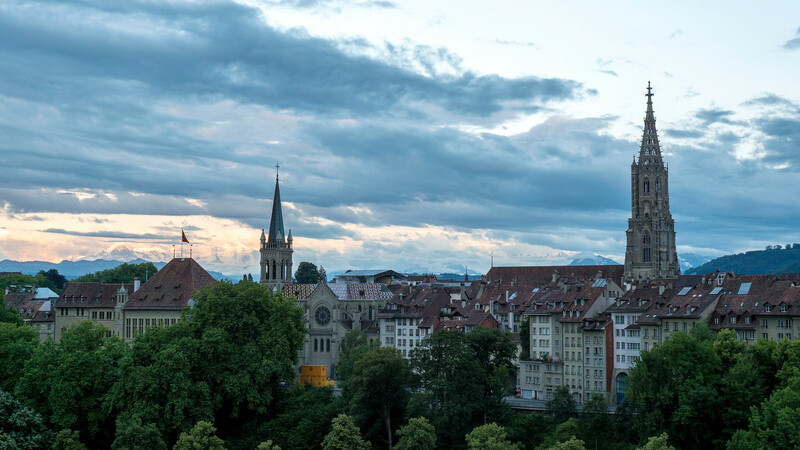 With only one day in Bern, you can still grasp a great feel for this alluring city and cover a lot of ground. 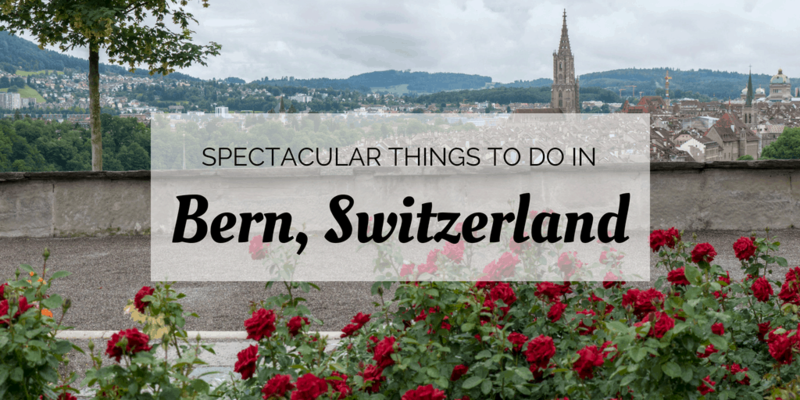 Even more importantly, out of all of the things to do in Bern that I list below, most of them are free (or mostly free) activities. 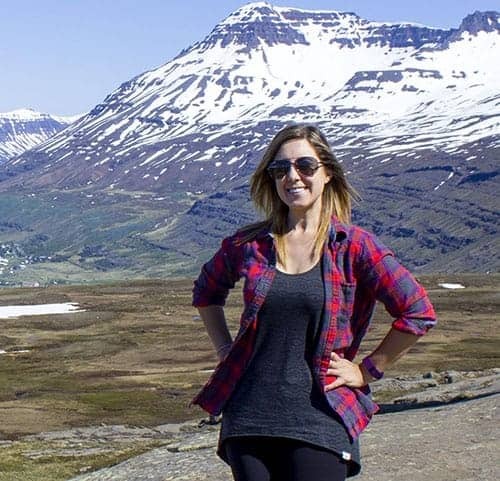 Switzerland isn’t the cheapest country in the world by a long shot, so this will definitely help your travel budget. 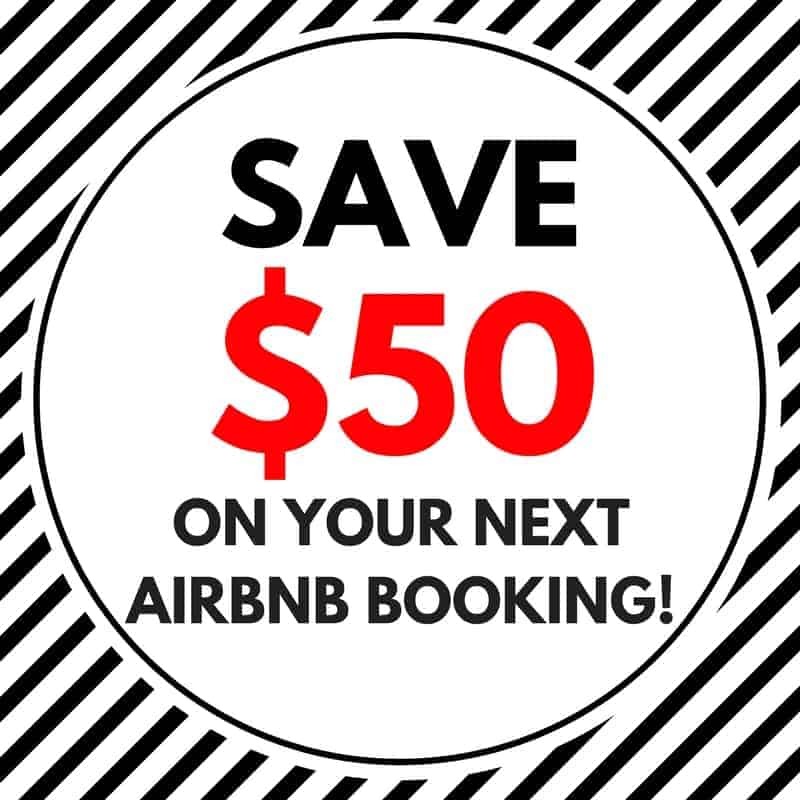 Looking to save even more money as you travel? Check out our favourite travel price comparison websites to help you travel more and farther. 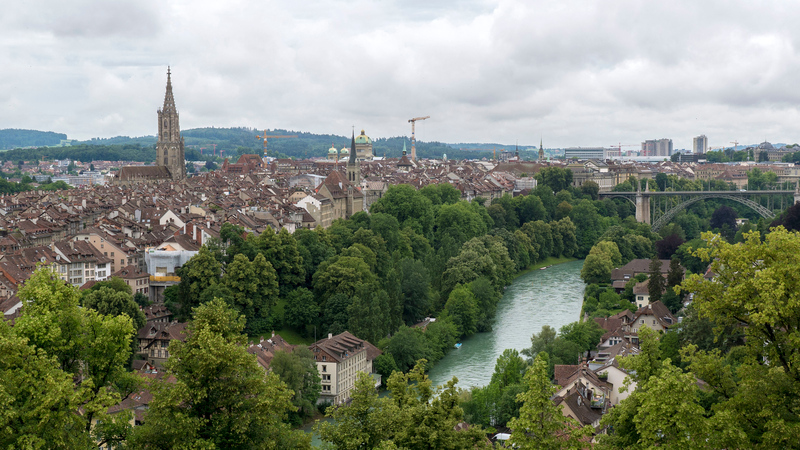 Here’s a quick introduction and a list of spectacular things to do in Bern in one day. Did you know that Bern is the capital of Switzerland? It’s the gateway to the Alps and a stunning city to explore in its own right. 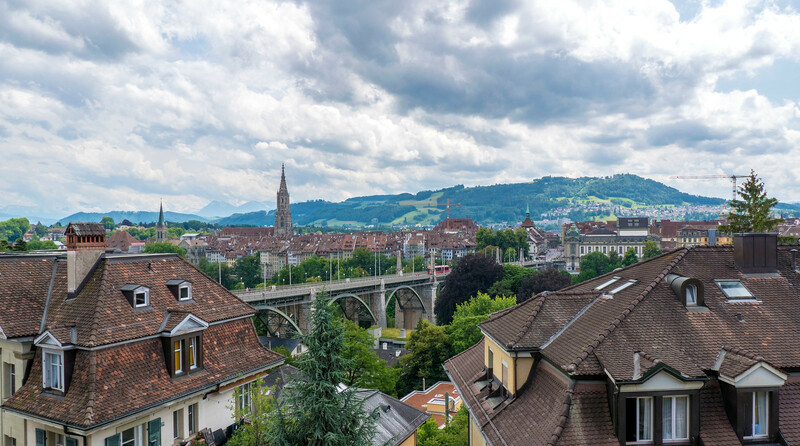 Bern consistently ranks in the top cities for the best quality of life, and that’s really no surprise. Bern is a clean and beautiful city with a fantastic public transportation system. There are intriguing historical sites, brilliant parks and greenery, thought-provoking museums, and numerous festivals throughout the year. 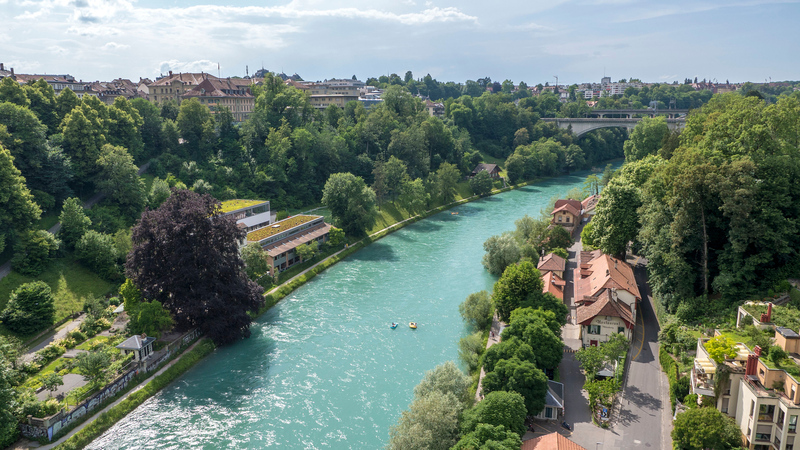 The Aare River flows through the city; on a warm and sunny day, the locals will go tubing and rafting down the river (make sure you’re an experienced swimmer if you decide to attempt this!). While it isn’t exactly clear how Bern got its name, there’s a local legend that the founder named the city after the first animal that he found on the hunt, which was a bear. There are references to bears all over Bern, and it’s the official animal on the seal and coat of arms dating back to the 1200s. There are bears that live in a park in town, though I can’t personally recommend the activity as I’m against animals forced into captivity for our enjoyment. As I mentioned previously, the public transportation system in Bern is fantastic and easy to use. When we stayed at our hotel, the Hotel Allegro Bern, the front desk staff provided us both with a complimentary public transportation card for the duration of our stay. This meant that we could hop on and off the buses as we pleased. There was a bus stop right outside of our hotel and numerous buses appeared every few moments or so. Using Google Maps, we quickly navigated our way through town, whether we were travelling to the train station, the Gurten, the Rose Garden, or towards Old Town. You could easily tell how close you were to your stop by looking at the TV screens on the bus. We highly recommend using the city buses no matter where you’re going in Bern. Alternatively, Justin and I walked around quite a bit as Bern is a very walkable place in general. Out of all the places to visit in Bern, I highly recommend that you visit the Rose Garden (Rosengarten). Yes, you will certainly find beautiful roses of many varieties and colours. There are also fountains, peaceful walkways, and sculptured hedges. 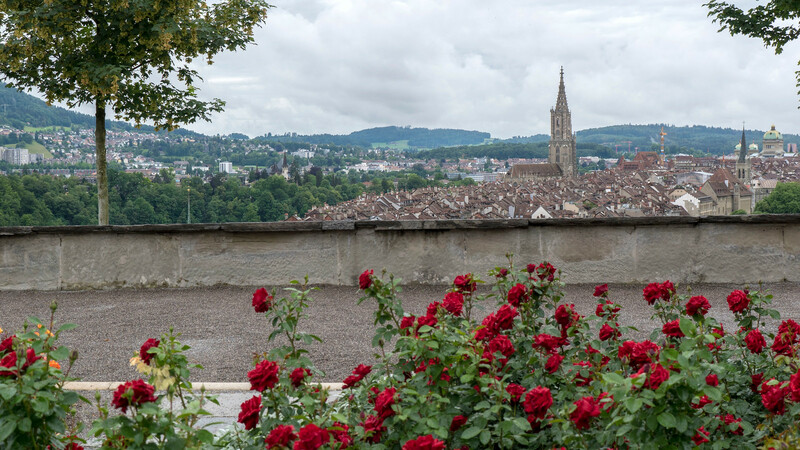 What sets Bern’s Rose Garden apart from other ordinary gardens is the view. The Rosengarten is perched right on the edge of the hill with panoramic scenery overlooking the River Aare, Old Town, and beyond. 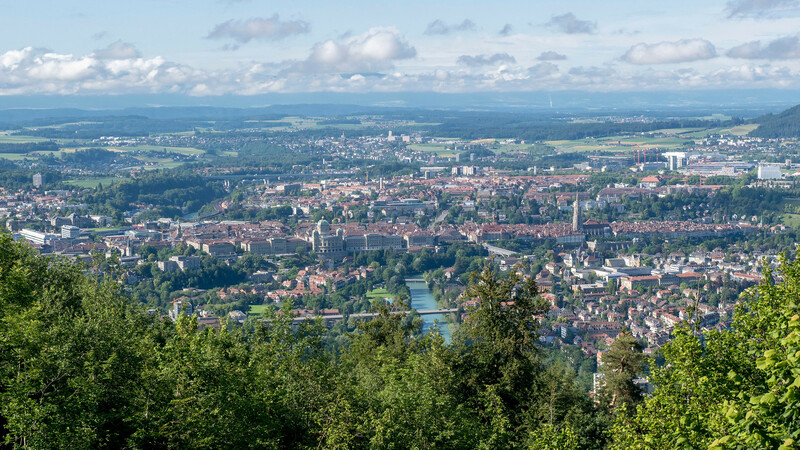 It’s clear that this is one of the best views of Bern, making it one of the top things to do in Bern. 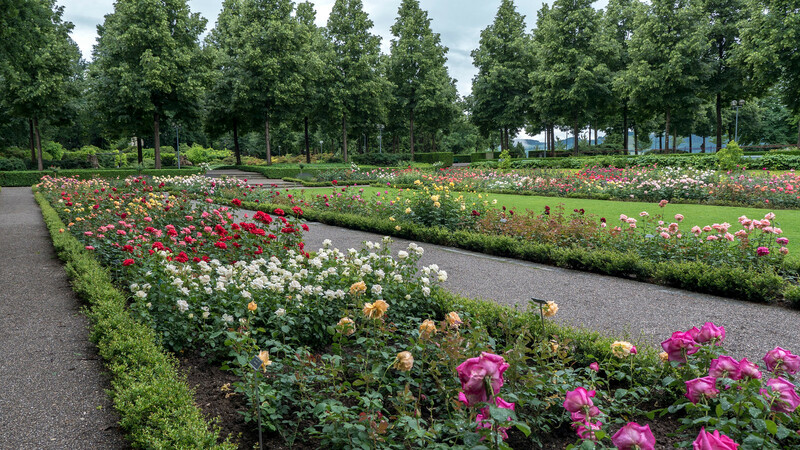 Even if you only have one day in Bern, set some time apart to visit the Rose Garden. The Rosengarten wasn’t always a public park. In fact, it used to be a cemetary from 1765 to 1877. 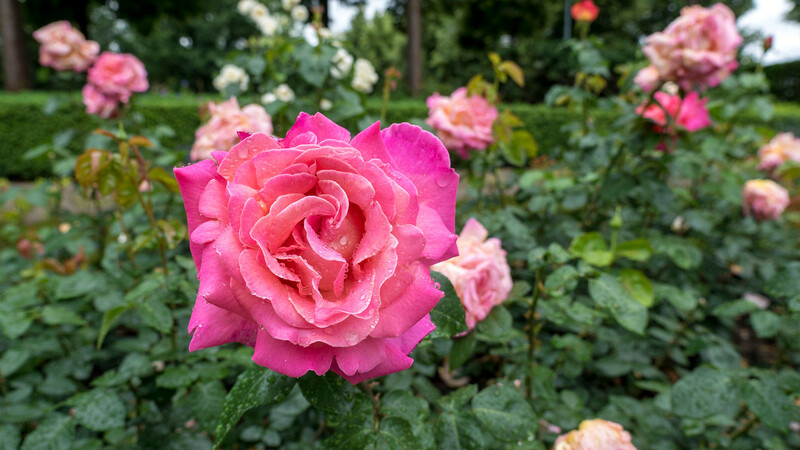 Nowadays, it’s home to 223 rose bushes, 200 iris plants, and 28 rhododendron varieties. When we visited in June, there were so many roses in full bloom. I recommend starting your day out at the Rose Garden when it isn’t quite as crowded. The Old Town of Bern is a UNESCO World Heritage Site due to its “exceptionally coherent planning concept.” There are six kilometres of arcades that the locals refer to as “Lauben” dating back to the 15th century. You’ll find all sorts of cafes, boutiques, restaurants, and bars hiding beneath the arcades, making it the perfect place to spend a rainy day, always with a roof overhead. There are also impressive fountains scattered all over this medieval old town. 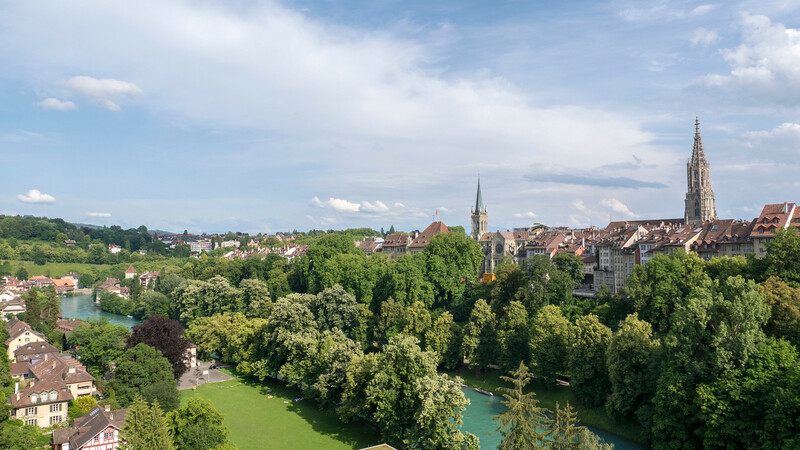 To learn more about Bern from a local guide and become acquainted with the city, we suggest taking a walking tour of Old Town Bern. If you’re seeking unique things to do in Bern, why not try this 3 hour segway ride through town? 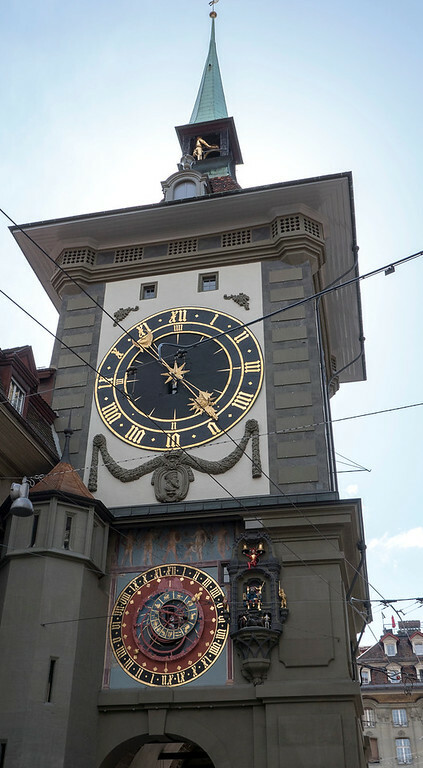 The Zytglogge is an important medieval tower in Bern, dating back to the early 13th century. 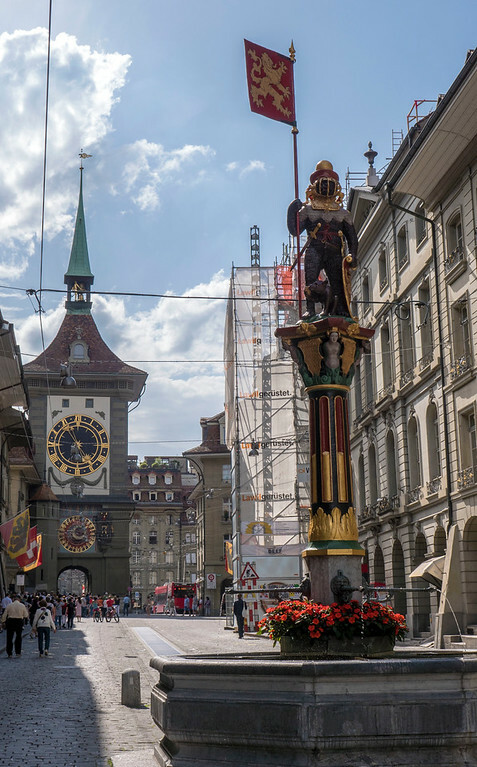 Over the years, the Zytglogge has served Bern as a clock tower, guard tower, prison, and civic memorial. 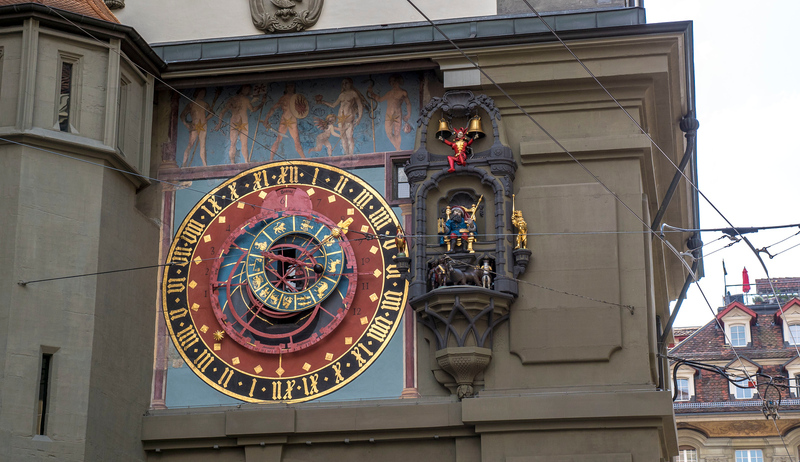 There is a functioning astronomical clock from the 15th century in the tower that is one of the major tourist attractions of Bern. Although we didn’t personally partake in this experience, there is a very interesting tour through the clock tower that allows you to see its inner workings. When we return to Bern, we’ll definitely be checking out this tour! 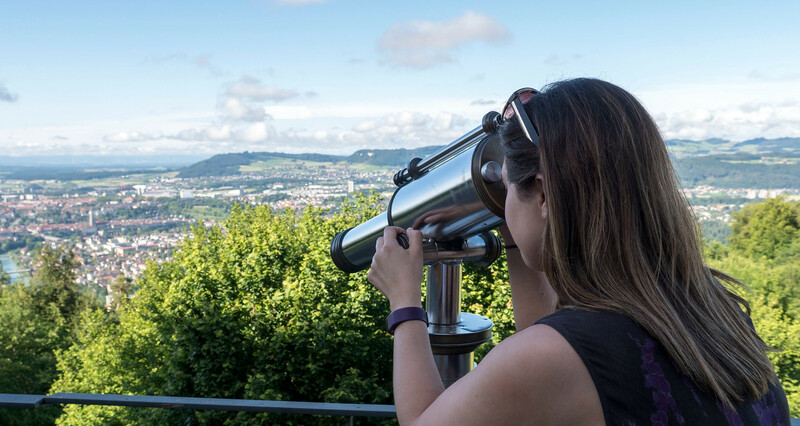 Topping the list of my favourite things to do in Bern, I adored travelling to the top of the Gurten. It’s just south of Bern and considered to be Bern’s local mountain. 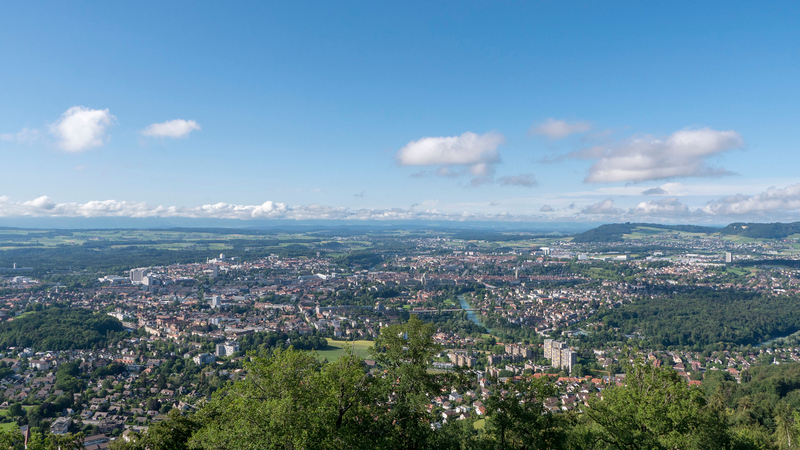 From the top, you can soak up spectacular views of Bern and the Alps. The Gurten is easy to access and I highly encourage you to add it to your list of places to visit in Bern. 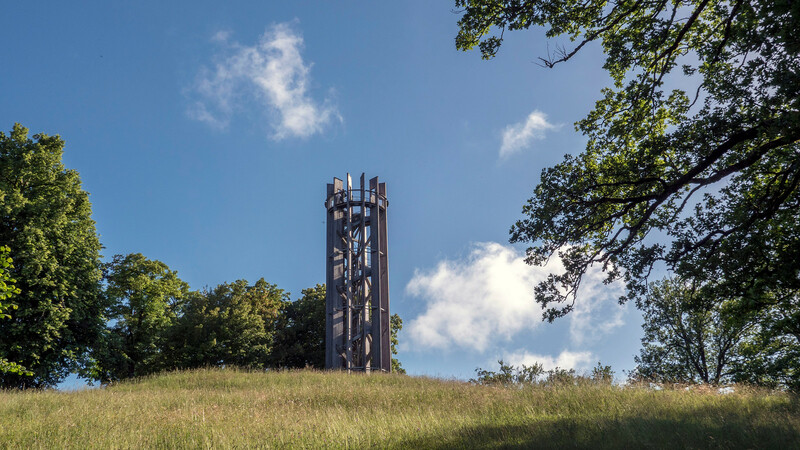 By spending a couple of hours at the top, you can easily visit this remarkable space, even if you only have one day in Bern. 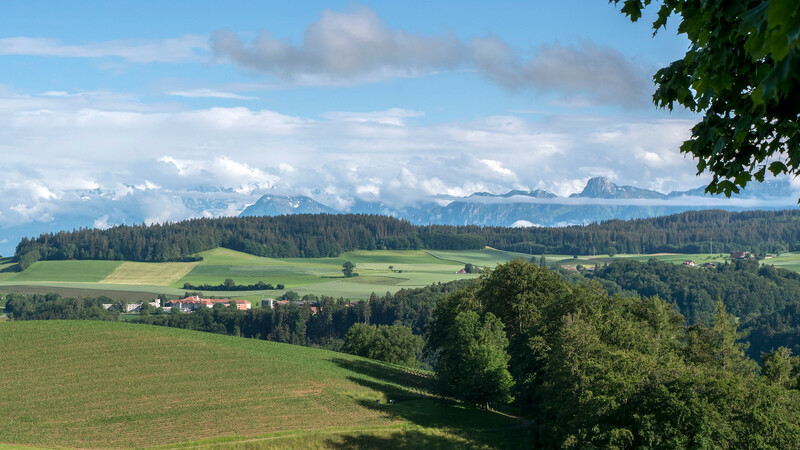 Allow me to show you how stunning the views are from the top of the Gurten! Getting there is easy. We took the bus to Waben where there is a funicular station. Our public transportation card from the hotel even covered the cost of the funicular ride to the top of the mountain. From there, we climbed the 858 metre mountain on the Gurtenbahn (in operation since 1899!) and relaxed as we approached the top. We recommend going for a hike if the weather permits. If you visit in the winter, there’s a toboggan run when there’s enough snow. 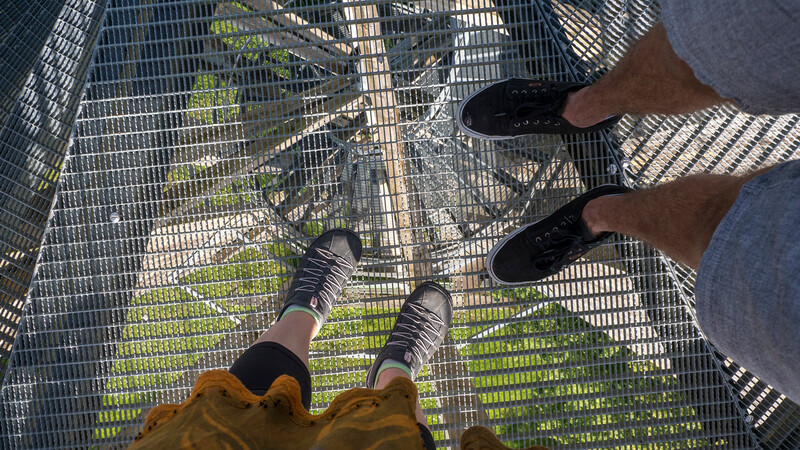 When you visit the Gurten, you must climb the tower for even more impressive 360 degree views. 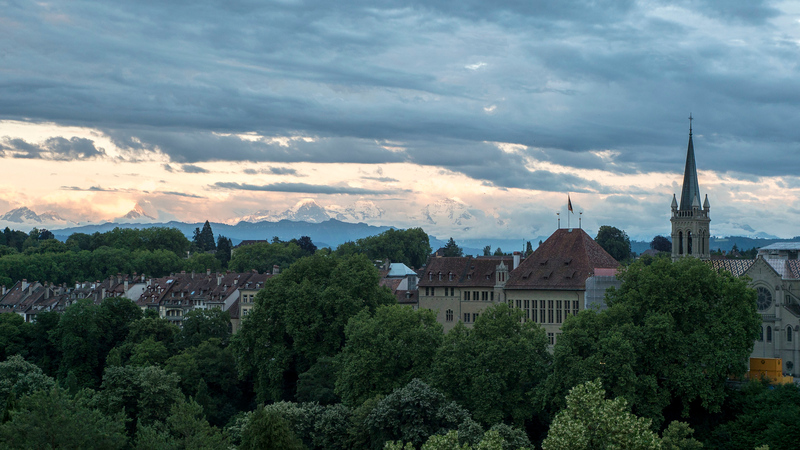 There are many places to visit in Bern where the sunset is spectacular. I highly recommend that you view and photograph the sunset from any of the bridges in Bern, as well as the Rose Garden. We happened to be walking back to our hotel across the Kornhausbrücke when we observed the sunset at dusk. As night approached, we didn’t quite get rewarded with pink and purple colours in the sky as the clouds rolled in, but the gentle glow of dusk looked so pretty against the historic buildings with the mountains in the distance. Head to higher ground for brilliant sunset scenery. I swear that half of the time I’m travelling, I’m filling the day with activities around my eating schedule. One of the things I most look forward to while visiting a new place is the local cuisine, and I’m always intrigued to explore the local vegan food scene. 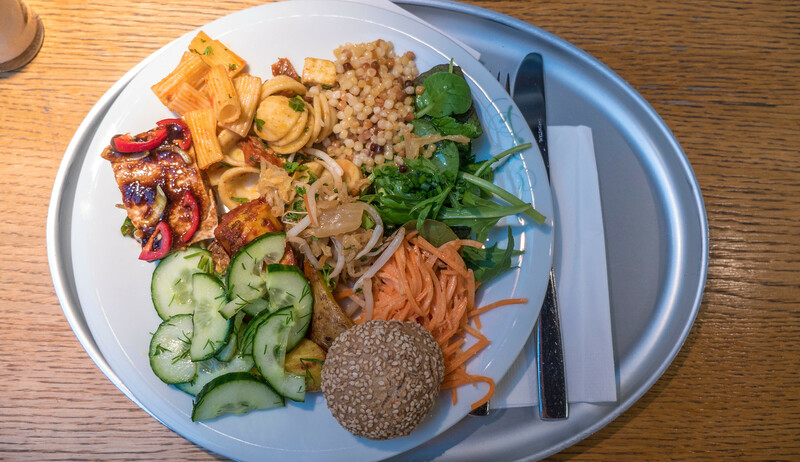 Thankfully, the vegan lifestyle is alive and well in Bern and there are plenty of places to dine as a vegan (and veganism in Switzerland is on the rise!). Here’s our eating schedule while in Bern, Switzerland. Tidbits is a vegetarian buffet with two locations in Bern. The vegan items are clearly marked and you pay by weight. 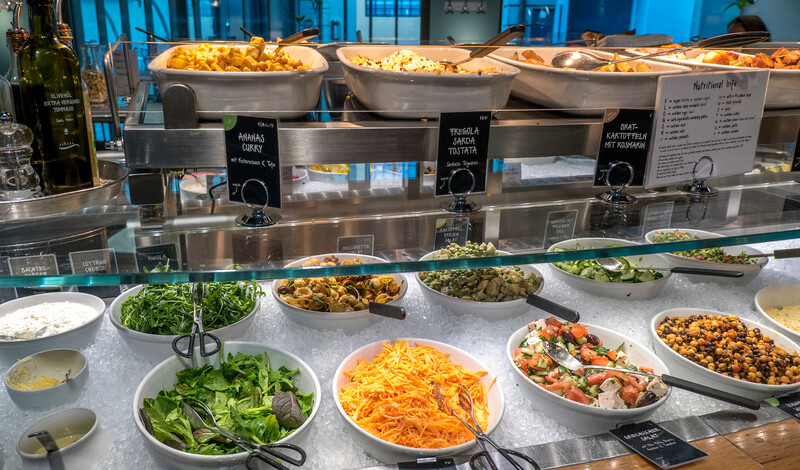 There are hot and cold dishes, as well as desserts. We loved the variety and how quickly we could dine and continue on with our day. The food was fresh, healthy, and delicious. We highly recommend Tidbits! 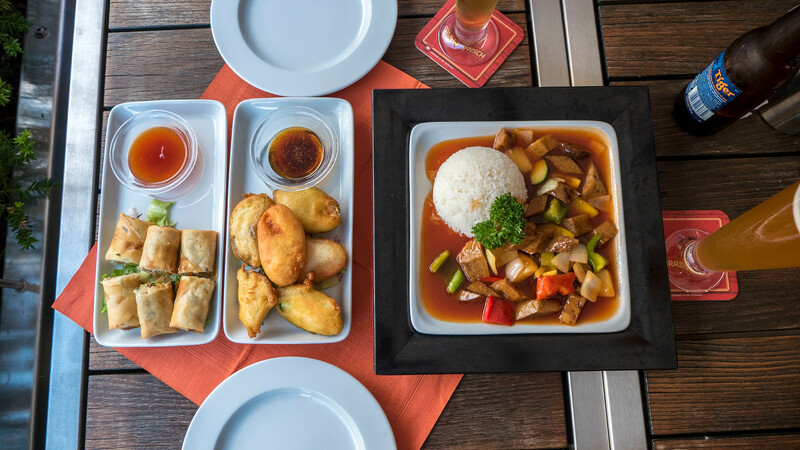 Mishio is an Asian fusion restaurant with the vegan items clearly marked on the menu. We dined on the patio with an awesome view overlooking the Bundesplatz. We ordered veggie spring rolls, vegetable tempura, and a seitan sweet and sour dish with rice. There was great service and the food was super yummy. We couldn’t have been more pleased with our choice to dine at Mishio. Looking for a late night snack (that can also turn into breakfast the next morning)? 5 Stagioni is a local pizza place that will deliver all over town. We ordered pizza online and they delivered it right to our hotel room. 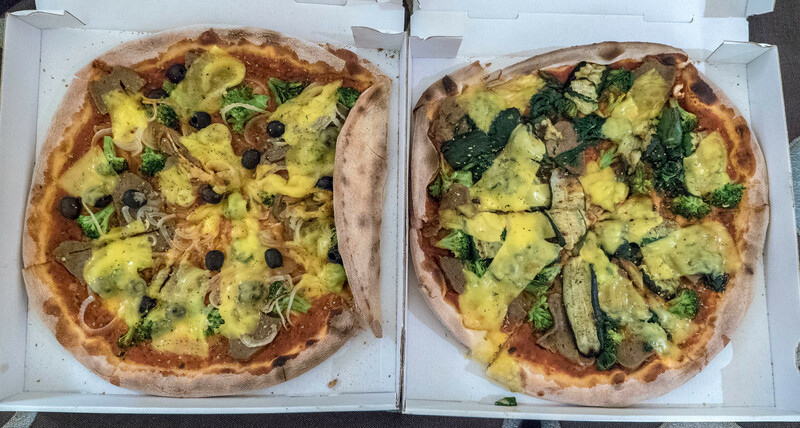 They have several vegan pizza options with seitan, Violife vegan cheese, and vegetables. This also makes a great lazy option if you don’t feel like dining out. 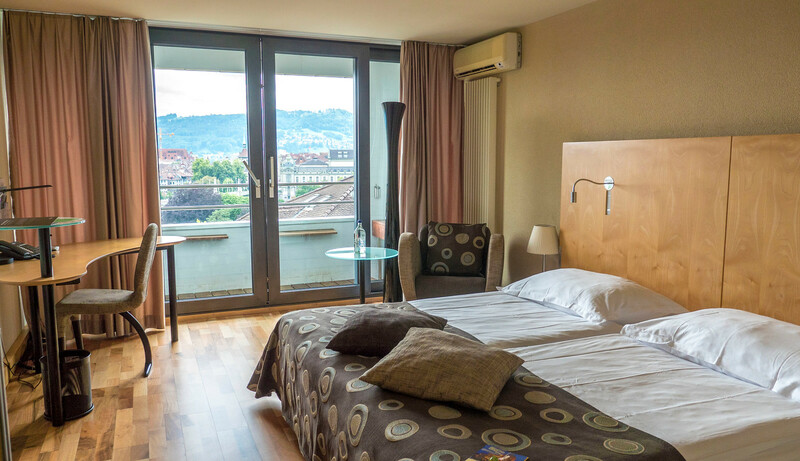 The Hotel Allegro Bern is our choice for places to stay in Bern. We stayed in one of their panorama rooms on the fourth floor. I’ll never forget the moment I opened the curtains and discovered the majestic view from our balcony. I was in awe! Our hotel room was comfortable and luxurious, from the spacious bathroom to the Nespresso machine in the room. We loved every moment of our stay at the Hotel Allegro Bern and felt right at home. Click here to book your stay at the Hotel Allegro Bern and feel free to check out more reviews by fellow travellers. 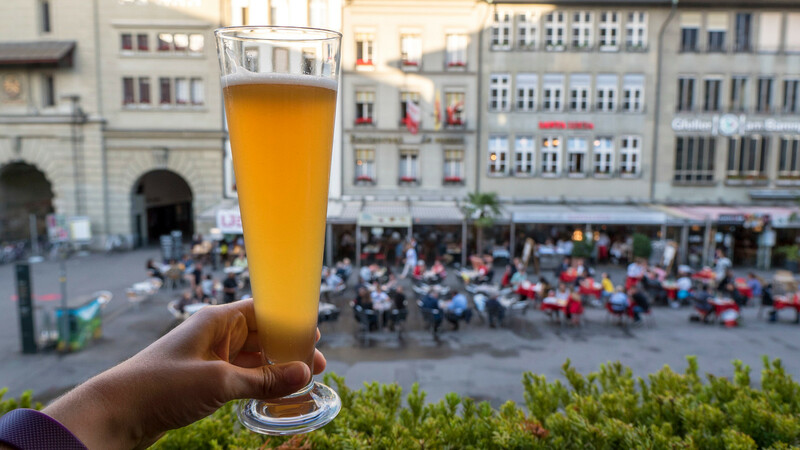 Looking to map out the following things to do in Bern? Search around on the map below to help put things into perspective! Have you ever visited Bern or any other cities in Switzerland? Thank you for your ideas and thoughts,,,we will follow them well ..this is our first trip to Bern,,,and me and my wife will be staying at interlaken and visit Bern for a day and return back to interlaken..